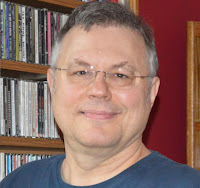 This episode, we interview the interviewer, as Chicago rock radio legend Bobby Skayfish (WXRT, WLUP, WDRV) shares his recipe for a great radio interview. 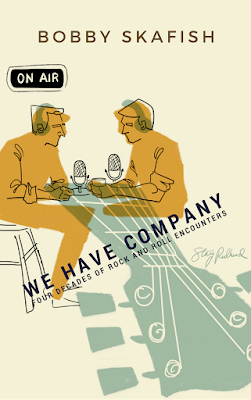 He also reveals some of the stories behind the stories that didn't make his book, We Have Company: Four Decades of Rock and Roll Encounters. 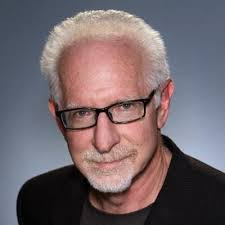 A native of Hammond, Indiana, Bobby grew up under the signals of Chicago media, including the original "Bozo the Clown" on WGN-TV, as well as iconic Chicago Top 40 stations WLS and WCFL. He was among the pioneers of free-form Album Oriented Rock (AOR) serving two tours of duty at "Chicago's Finest Rock' station WXRT, legendary rock epicenter WLUP ("The Loop") and the station that disrupted and quickly dominated the Chicago rock radio market, WDRV ("The Drive"). Leaders set the tone, they understand their role is to bring out the best in others and set the stage for great performances. Always remember – great radio is a performance art. It’s a high wire act which needs supportive leadership to flourish. The mission critical objective is to create a stimulating, positive and challenging environment which encourages creative individuals. It’s about culture. What we allow, we encourage. Openly recognize and celebrate what you want to hear and see more of. Legendary programmer Paul Drew said the sound of a radio station was an extension of the program director’s personality. Industry thought leader Joel Denver agreed, saying today it’s more granular, radio stations reflect the DNA of their program directors. Drew also reminded us the best program directors were the ones who took the second word of their title seriously. The best PDs were directors of talent, impresarios. Meet one of the hottest national morning shows in CHR, John Jay and Rich discover their biggest surprise in 'going nationwide', and tips and tricks to managing their growning on-air, online and marketing empire! When it comes to the future of radio, our guest this episode, DANIEL ANSTANDIG is not only a pioneering advocate, he’s event named his current company FUTURI MEDIA. After learning he was too young to work for local stations in his hometown of Cleveland, like many of us, he created his own ‘radio station’ at home. Unlike those of us who settled for tape recordings or homemade ‘pirate’ transmitters, Daniel began an online station ─ back when streaming as in its infancy. Before long he had listeners, which meant advertisers and soon he was able to hire staffers from the very stations that could not hire HIM! He then went on to be a prominent consultant with McVay Media, before forming several bleeding edge companies focused on media convergence. This passion has culminated in his current endeavor, FUTURI MEDIA. Among the innovative contributions offered are Listener Driven Radio, TopicPulse and Futuri Post, designed to easily help keep audio ‘alive after it’s live’. Daniel has advised The Wall Street Journal, CBS News, Clear Channel R&D, The White House Commission on Remembrance, Glencoe-McGraw Hill, and various broadcasting companies in the USA, Canada, and Europe on digital audience and revenue growth strategies. Daniel’s research and editorials on radio and interactive media have been published in The Wall Street Journal, Billboard Magazine, and industry trades such as Radio World and Radio Ink Magazine. A proud two-time recipient of Edison Research’s 30 Under 30 Award, Daniel has also been recognized by Entrepreneur Magazine for his work as a young entrepreneur. 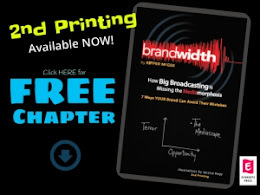 In this episode, Daniel offers tremendous insights on how broadcasters can harness the power of technology for content and operations, and shares some very practical insights on things YOU should look for in your next situation ─ BEFORE accepting it! The PD job description in six words – deliver numbers to the sales department. It’s the responsibility of management to deliver results and for program directors the results that matter most are the ratings. Delivering great numbers begins with talent, the talent on and off the air; it’s all in the casting. As the great American poet, Penn Jillette, says “In all of art, it’s the singer, not the song.” Talent is the wellspring of every great radio station. There are few activities in broadcast operations which produce a greater ROI than attracting, developing and retaining talent. Every successful PD is preoccupied with talent. The best approach to recruiting is to identify and cultivate talent before you need them. Adopting a mindset of continuous recruitment will help you build a bench and avoid starting from scratch. The fire drill which often happens - when a key talent gives you a two-week notice or decides renewing their contract is no longer a good option - works against you. You will likely end up settling for someone you can get interested and hire today rather than the best candidates. Start by getting to know the talent in your neighborhood. Your metro, your state, your region of the country is home to some exceptional talent. It’s your job as PD to find them, get to know them, tell them the story about your station and your team. 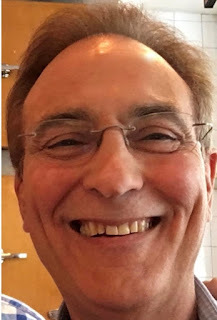 Researcher, futurist, and radio vet John Parikhal is best perhaps best known in radio circles as president of Joint Communications, an international media consulting firm sporting an impressive client roster. He is known for helping clients increase market share through strategic focus on customer demands, satisfying customer needs and leading client growth through innovation, fresh thinking, targeted marketing concepts and media trend watching. 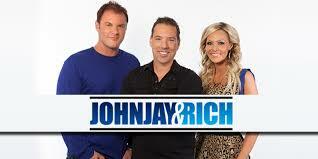 Listen longer or listen again. Killer content starts with optimizing the platform. Take advantage of each platform's unique characteristics. For example, Over-the-air is a real-time platform. You’re reaching people in the moment. Moreover, the majority of that audience shares a location (your metro). The objective of every set should be to deliver content which encourages the audience to listen longer or persuades them to listen again. This is the most effective way to build occasions and time per occasion. Occasions are important, they represent the building blocks of quarter-hour listening estimates.